Welcome to the COMARA website. Membership is open to former COMSAT employees and surviving spouses. If you are not getting important email announcements from COMARA, please email webmaster@comara.org. I was informed by his wife, Lynn, that Bob Gruner died Friday morning, March 15. A memorial service will be held April 17 at 11:00 am at the Damascus United Methodist Church, 9700 New Church St., Damascus, MD 20872. I do not yet have an obit. Please inform the Comara members. Denis Curtin forwarded this notice to us. In recognition of his lifetime achievements in space communications at NASA, Edmund J. Habib, B.E.E. '49, received on of two 2018 Engineering Pioneer Awards from the Goddard Space Flight Center. But nearly four months later, more than a dozen satellites from the launch have yet to be identified in space. We know that they're up there, and where they are, but it's unclear which satellites belong to which satellite operator on the ground. The COMARA First Wednesday December 2018 gathering was held at the Woodside Deli in Germantown. Ron Johnson did his usual great job in organizing and publicizing this event. Paul Schrantz attended the event and took photos of many of the participants. These photos have been posted to a OneDrive album. You can view the photos as an album and as a slide show. You can also order copies of any of the photos. Sorry that it took awhile to get these photos uploaded for your viewing. 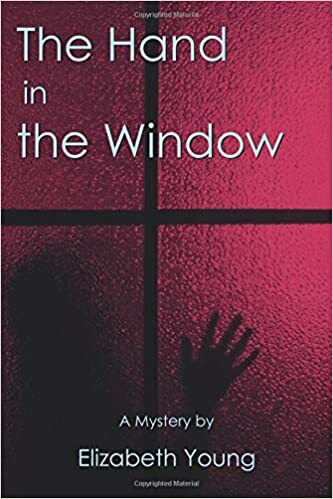 Just want to share with my COMARA friends that my fifth book, a mystery, entitled "The Hand in the Window", has been released by Divertir Publishing, which previously published my international thriller, "FUGO: Terror from the Sky". Information available on my web site: http://www.eyoungbooks.com All my book are available on Amazon.com. Jay Berg's life could have been better. He had recently separated from his wife after losing his job at the factory where they both worked. His wife was now seeing another coworker, Jay was living in an apartment at a friend's house, and his days consisted of holding a traffic sign at a construction site. About 35 people attended the 2018 COMARA Social on Sunday, September 30 at Thats Amore on Shady Grove Road in Rockville. Denis Curtin made arrangements for the venue. Geze Serenyi (treasurer) collected checks from our PO Box, and email notices from PayPal as our members paid for the event. Paul Schrantz and Ron Garlow took pictures at the event. This album contains 51 photos taken during the event. This One Drive album is provided without charge by Microsoft for any user with an Outlook email account. The owner of the account creates the album, and then uploads copies of the pictures. Microsoft handles the formatting of the photo display for computer, tablet, or smart phone. View the Social Photos - Wait for photos to load. Maury Mechanick, COMARA President, conducted a short meeting at the event. Maury introduced Richard Rankin, newly elected COMARA Director. There was some discussion of the support COMARA members have provided to the National Electronics Museum, located near BWI airport. One of the COMSAT Legacy collections is a box containing nearly 1100 slides. Dan DiFonzo recently took on the job of scanning the slides so our members, and the world can share them. This is a gargantuan job. Dan has created a OneDrive album and uploaded the slides to this album. This is a massive collection with a size of about 2GB. From Dan DiFonzo: As promised, here is the link to view and/or download the 1100 Comsat slides that I scanned and digitized. These images have been uploaded to a OneDrive album. The notation on each slide refers to the drawer that contained the slides in the 3 across x 6 down set of plastic drawers. Otherwise, the slides are numbered in the order I scanned them. Only 14 of the drawers had slides. If you have already paid your 2018 membership dues, thank you for your support. If you have not yet paid your 2018 membership dues of $15 per year, please send a check to COMARA using our PO Box or use PayPal. Better yet, please send in $30 for both your 2018 and 2019 membership dues. COMARA © 2002 All rights reserved.